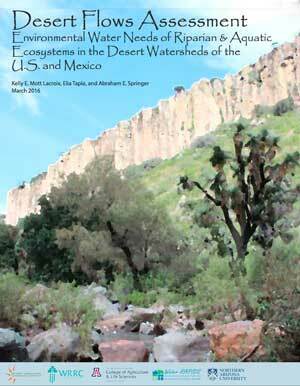 In the past decade there has been increased interest in providing water to meet the needs of riparian and aquatic ecosystems in the western United States and policymakers are using their knowledge of environmental flow needs to advocate for both political and scientific changes. However, there are significant challenges associated with including environmental flows in water management and planning. First, water rights for environmental flows are not universal, and in many cases legal tools used to incorporate the environment into water management and planning only require new users to consider their impact to water in the environment. Second, it can be difficult to include the needs of riparian and aquatic ecosystems in new plans when other existing uses already outstrip supplies.